Splash Design Plates - 10 Ct. Perfect for weddings, birthday parties, and more! Delight dinner guests at your next event with our Splash Design plates. Made of premium plastic, each plate combines the convenience of a disposable with the stunning appearance of real dinnerware. 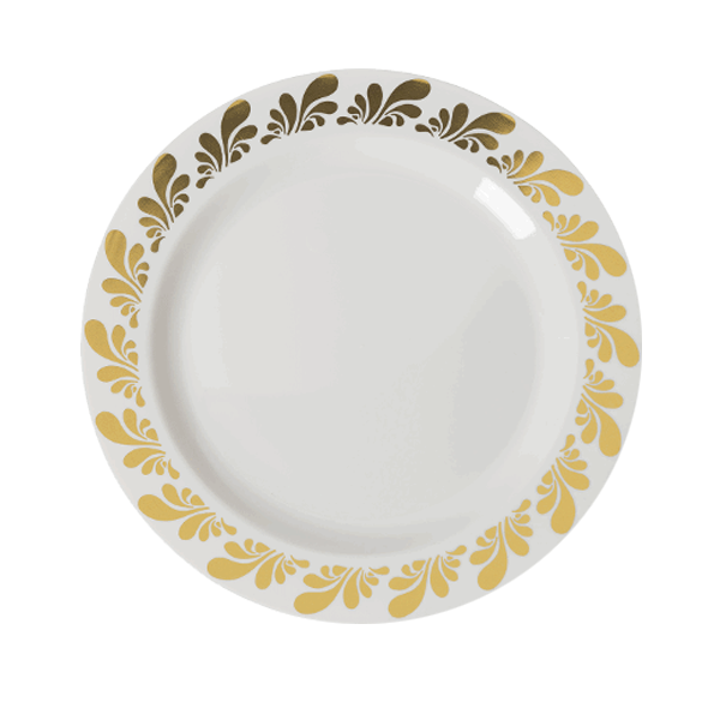 Each plate features beautiful metallic accents that are certain to enhance any table setting. Perfect for weddings, birthday parties, and more!